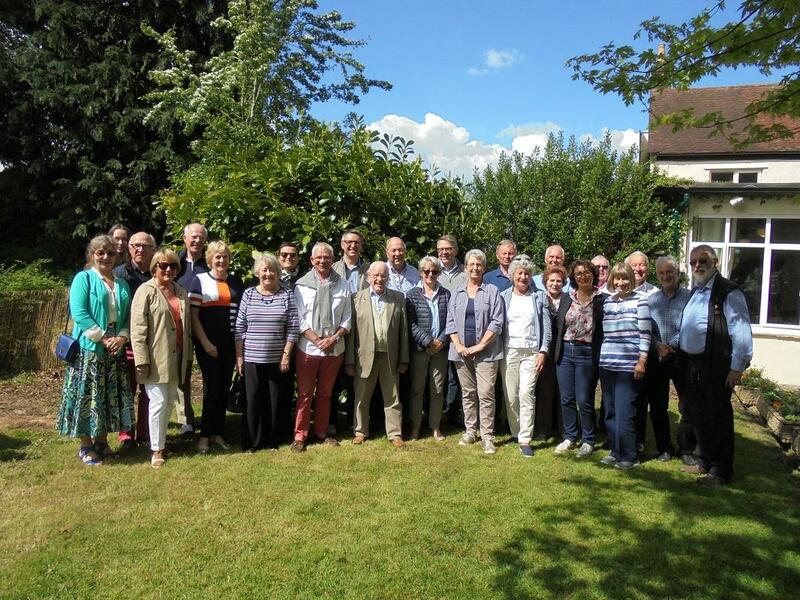 Members of our linked club in Landerneau in Brittany enjoyed a hectic, most enjoyable, fun packed weekend. Five couples from the Rotary Club of Landerneau visited Westbury from Friday 11th to Sunday 13th May. Most club members were able to attend one of the trhree dinner parties held on the Friday evening to welcome our guests, so there was a slow start on Staurday morning. We met up at Avebury and toured the National Trust Manor house. A few managed to find the time and energy to explore the stone circles and comment of the similarity and differences with the Menhirs at Carnac. THe group then went on to the Bell at Overton for a light lunch, followed by a vist to Marlborough for some, Hungerford for others or just home for a nap. Saturday evening was at the Cumberwell Gollf Club, where we enjoyed a semi formal dinner, with short speeches from the President of Westbury, Rtn David Perkins, and the leader of the Landerneau team, Olivier Alallea. Gifts were exchanged. Hosts and guests spent Sunday morning exploring the local areas, then met for a final lunch at the Royal Oak at Corsley, before the Brettons had to depart to drive to Plymouth for the ferry home..
Having enjoyed a wonderful weekend with our French friends, the Westbury Rotarians went home for a much needed rest!